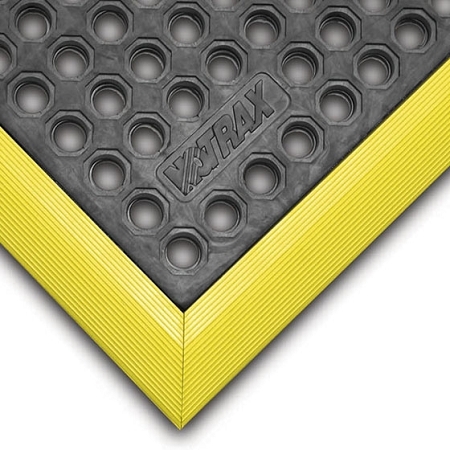 NoTrax introduces the 650 Niru Cushion-Ease Floor Mat created for harsh work environments where liquids, debris, and standing for long periods of time can reduce production significantly. 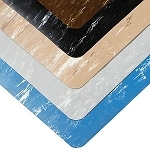 The 100% Nitrile rubber compound used to make this floor padding gives it a longer lifespan and extreme resistance to chemicals, oils, and greases while the holes in the floor covering reduce the amount of slip accident in the work place. 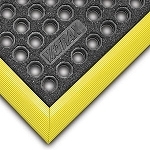 Now you can work standing for longer periods of time because the cushioning on this floor mat allows for proper circulation of blood throughout your body reducing muscle fatigue and back pain increasing your performance and production. 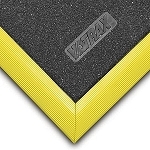 This safety mat is available in two different dimensions and can easily snap together for customized work areas. For additional info, please click the More Information tab.